If someone helped build and lead a company from $0 to over $20 Billion in revenue, you’d be pretty interested in how they did it, right? That’s exactly what Andy Grove did at Intel. 22 pages in and "High Output Management" by Andy Grove is blowing my mind. A must-read for any manager. Re-reading High Output Management by Andy Grove for the fifth time. Always insightful. @JoelMarsh I'd start with Alfred Sloan "My Years with GM" (really) and Andy Grove "High Output Management" for sure. We wholeheartedly agree with the assessments above. The book covers a wide variety of the essential topics applicable to any manager, from a first time founder at a startup to a middle manager at a large corporation. 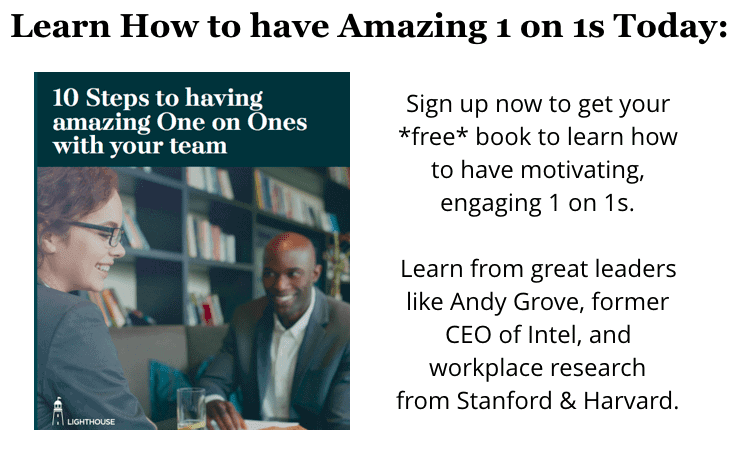 Today, we will share with you one of the many great ideas and key processes Grove shares in High Output Management: the one on one. That’s quite the return on investment for your time as a manager. Done right, your one on ones are the single most powerful investment you can make in your team. They can help you catch and fix problems when they’re small, coach and develop your people, and gain valuable insights from sharing information up and down the org. Unfortunately, many managers fail to experience those gains because their approach to one on ones are lacking. In our many conversations with managers, we have found that the fundamentals of good one on ones are often missing; managers struggle to start them, don’t always get a lot out of them, and lack the good habits to make the most of the time investment. Fortunately, Grove shares many of those key fundamentals which we’ll go over today. A lot of these concepts will seem like common sense, but don’t overlook them. It’s the combination of these habits that work together to build a successful meeting; overlooking any one of them can undermine the effectiveness of your one on ones. 1) How long should your one on ones be? Set aside an hour. Think back to the last time you had a difficult topic to discuss with someone, whether in your personal or professional career. Did you bring it up the second you sat down, or did you feel the need to warm up the discussion? If you valued the relationship, there’s a good chance you waited. That’s normal. Grove wrote that over and over he found that it was somewhere around the 20 to 30 minute mark of a one on one that “heart to heart” topics tended to come up. If you only schedule 20-30 minutes for your one on one, those topics will often not get brought up because you’re already looking for the door or thinking about your next meeting when they need you most. Also remember: you have power over your team as their manager. No matter how much rapport you have built with them, it can still be intimidating to bring a problem or bad news to you. This is why Grove emphasizes that the length of time needed is based on the fact that, “the subordinate must feel that there is enough time to broach and get into thorny issues.” You can always end early if you both agree. However, it’s hard to cover the tough topics if you didn’t book a full hour. Don’t stifle your one on ones before they start by not giving your team enough time to talk about the most important topics. Give it an hour. 2) How do you decide what to cover? Ask them to set the agenda. If you’re managing a team of 7, that’s 7 one on ones you have to prepare for. 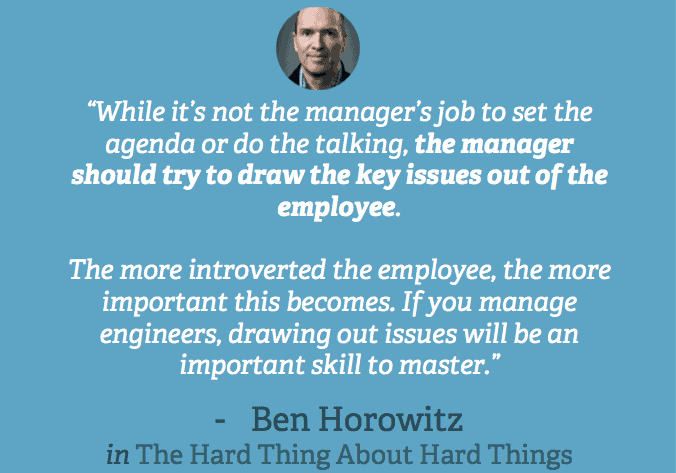 Yet, each team member only has 1 meeting with you they need to prepare for. There’s no reason then not to delegate some of the responsibility of the discussion to them. You’re not off the hook, though. You still need to come prepared with topics to discuss and questions to ask. You should also teach your team what they should bring to discuss. Whether early in their career, or coming from poor managers in the past, many people have never had a good manager that cared about them and had effective one on ones with them. Taking the time to teach them what to expect in a one on one and what makes a good agenda is a smart investment of your time. It will pay dividends in every one on one meeting thereafter. 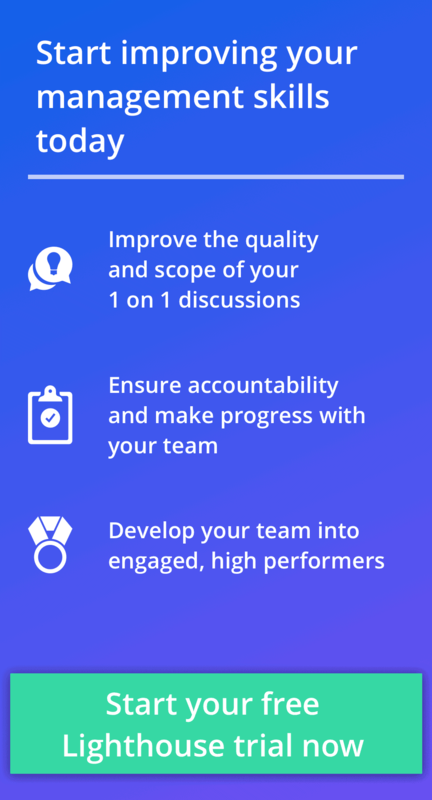 3) How should a manager prepare? Ask questions. If your team member is setting much of the agenda, then what should a manager do? Bring questions. The best way to catch those problems is to develop the skill of asking good questions. This applies to both sparking new discussions and digging deeper into topics they raise. A manager’s job is to do a lot of listening in their one on ones. One of the best ways to make sure you hear what you need to is to follow these experts and ask good questions. 4) What is a manager’s responsibility? Take notes and keep promises. Listening and asking good questions will definitely improve your one on ones, but only if you make the discussions actionable. Without action and follow through, your team members will not see a reason to keep bringing problems and ideas to you. If you lose their trust, your effectiveness as a manager is gone. What’s the point of discussing something if all that ever happens is talk? Positive change and progress is what keeps your team members motivated. The need for progress applies to both their main work projects, as well as issues and opportunities you discuss in a good one on one. It’s a subtle, but important point at the end: after making a commitment to take action, it’s critical to close the loop by following up in the next one on one. Whether what was promised was done by either of you, checking back in forces accountability. This can be hugely valuable as you can spend more time on a problem that wasn’t sufficiently addressed from last one on one without it getting lost in the shuffle. You can also build confidence with them if they can see that something they brought up last time has already improved. This makes them more likely to bring up the next issue or idea. All of this momentum and confidence only happens if you take notes. You’re unlikely to remember what happened a week or more ago simply by memory. Whether you take notes on your phone, use a notebook, enter them on your computer in the meeting, or type notes immediately after, it’s critical to have a habit for taking them if you want to have effective one on ones. 5) How often should you have your one on ones? Use “Task Relevant Maturity” to decide. One of the most common questions we hear from managers starting out with one on ones is how often to have them. Unfortunately, there is no one size fits all answer. Common advice often focuses on the size of your team and your other commitments. If you have a large team, it’s not likely feasible to meet with everyone weekly simply due to the time commitment. At the same time, it’s generally accepted as a best practice that you must meet with everyone at least once a month. This is one of those great ideas hiding in plain sight. Of course, every manager probably realizes a junior employee new to your staff needs more frequent touch points. However, the veteran staff member that just got promoted or is new to your team also needs more guidance and support. In all cases, it much less a person’s age, and much more their comfort and experience level they have in a role that should dictate your one on one frequency. Don’t assume someone that succeeded in a past role or responsibility is instantly ready and comfortable in a new one. Too often, we hear of experienced team members promoted (especially to new management roles) who are left unsupported and feeling abandoned. As a consequence, many of them become disengaged and even quit. Do not mistake previous “Task-Relevant Maturity” for instant comfort and success in a new role. Adjust your one on one frequencies according to skill and comfort in the their current role and you’ll be a management pro like Grove. Andy Grove is a legendary leader who shares dozens of great ideas you can apply in High Output Management. The ideas we’ve covered above about one on ones are only a small section of the book, so we highly recommend you pick up a copy for yourself to learn all of his lessons. Looking for help applying Grove’s one on one recommendations? 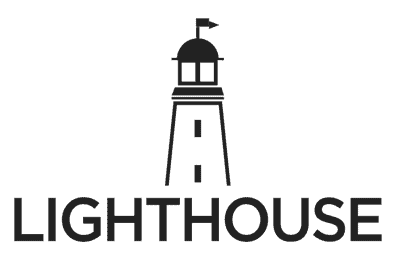 Sign up for Lighthouse, which helps managers build the right habits to get the most out of their teams.